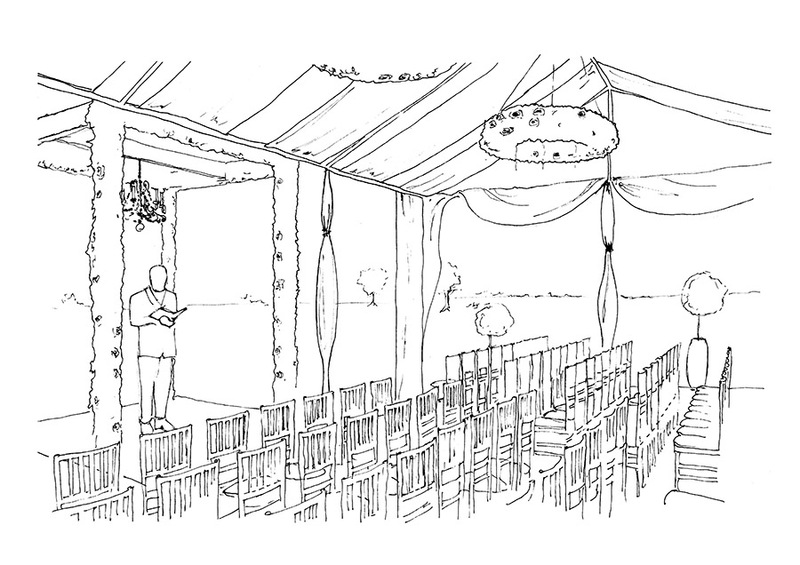 Part of my work for the Honest Group included sketching designs for client approval as well as technical drawing and spatial planning. 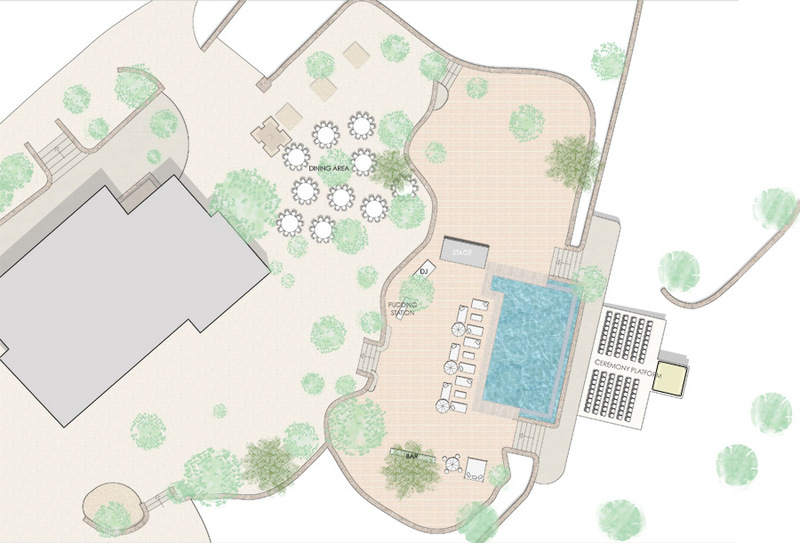 This is an example of a wedding in Ibiza where I surveyed part of the site and helped to develop their initial designs. 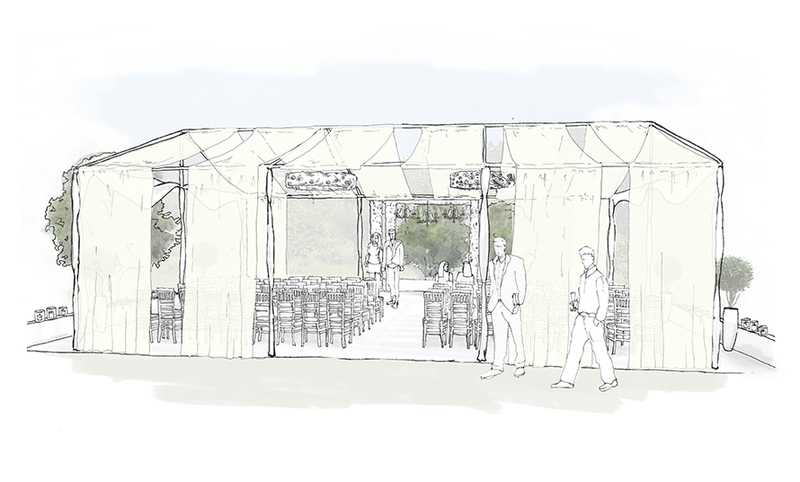 This included coordinating with suppliers and finding cost effective solutions to staging areas, as well as producing client facing sketches.